Pearl meat is the firm flesh that is the muscle of the oyster (Pinctada maxima) and is a very much sought after delicacy in Asia. The white meat is characterised by its tender texture and unique flavour, similar to abalone or scallop and is thought to have aphrodisiac properties. Pearl oyster meat is a gourmet delight and only small quantities are harvested annually. It is now beginning to become popular with Australian Chef's and it will not be long before pearl meat is popping up on restaurant menus! For Sale direct from our office at 41 Herbert St Broome WA. 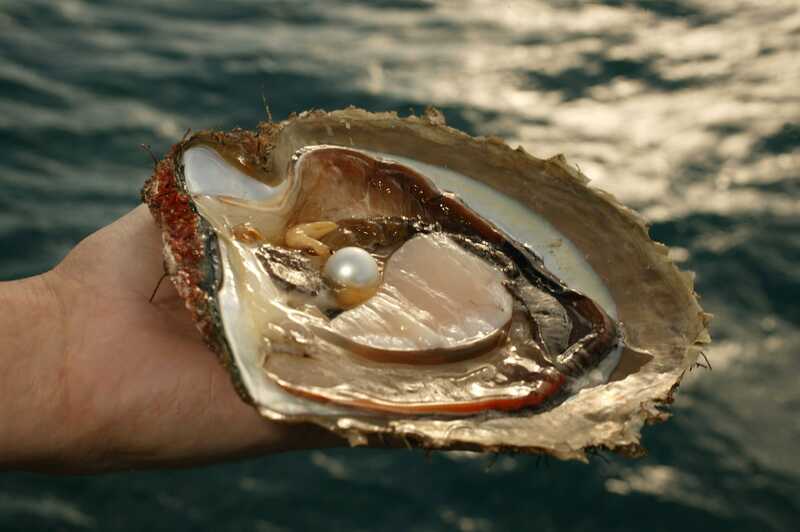 If you would like more information on our Pearl Meat, please send an enquiry below. Earthquakes hit Lombok again on the Sunday 19th August 2018. The local people have lost their homes and there have been countless injuries. Autore is assisting the people of Lombok by supplying food, water and shelter directly to those in need and we want to thank all those who have made donations to assist with this work via the Go Fund Me Page. Every little bit helps.